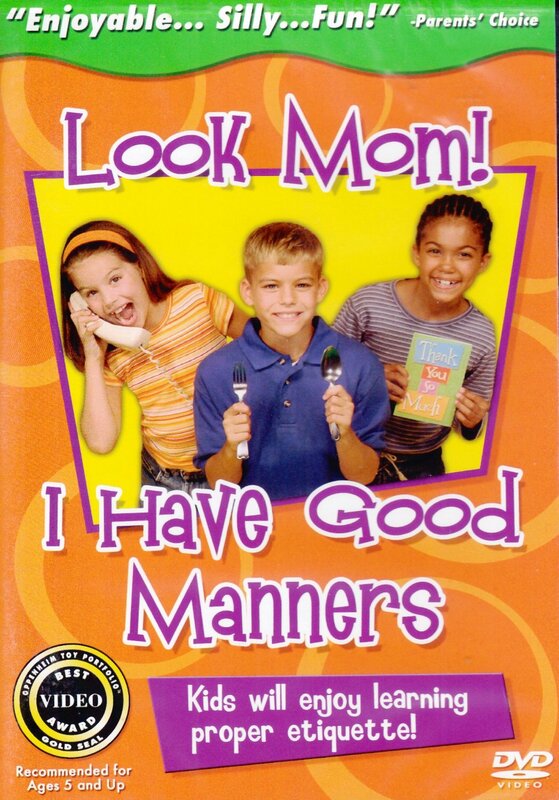 Look Mom – I Have Good Manners by Look Mom I Have Good Manners (DVD). This video makes minding your manners all the more fun. Set up like a game show, viewers are asked by humorous host Wally Dooright to pick the correct scenario representing proper behavior. In five categories – mealtime, playtime, telephone, school and healthy manners – situations are presented. 30 minutes.